This statistic is based on a survey among adults in California. It shows the share of respondents who would seek professional help for mental health conditions or alcohol/drug use problems, as of 2017. 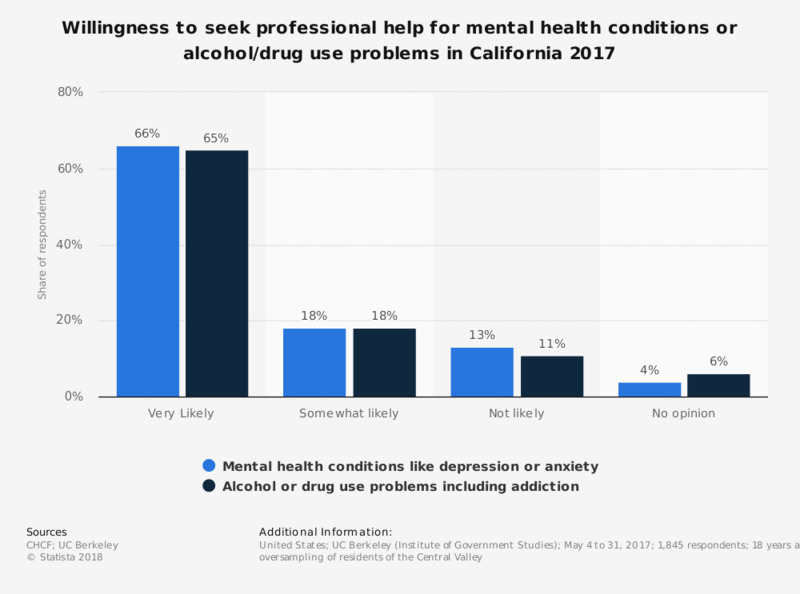 Some 66 percent of respondents agreed that in case of mental health conditions like depression or anxiety, they would very likely seek for professional help.